Snapchat is a mobile multimedia application that is famous for its disappearing messages right after it has been seen by the receiver. It also includes funny templates and filters that you can use when you take pictures. In case you want to share a short story, then this app will also allow you to do so. In spite of these, some users tend to get bored with the app and want to try other available Snapchat alternatives. There are a lot of apps that you can find online and to help you out, here is a breakdown of the top Snapchat substitutes that you can use. This application provides its users with encrypted text, image and video messaging with the full control of the user. It also has a shredder function that irreversibly gets rid of all erased images, messages, and videos. Also, it has no annoying ads and it makes your Wickr ID anonymous so that no one can trace your conversations. Just like Snapchat, this tool also has photo filters, graffiti and stickers which users can use upon taking pictures. Pros: It is safe and secure and has the basic multimedia messaging functions just like Snapchat. Cons: The filters and stickers are not that entertaining like Snapchat. Another alternative to Snapchat is Snow. With this app, every user can create and share their own awesome video by using different motion stickers. Similar to Snapchat, this app can also be used in interacting with each other using its chat function. Upon chatting with your friends, you can instantly create animated GIF’s which is quite cool. If you like to share your story, then you can use the “My Story” feature. Considering its look and functions, it is indeed a decent Snapchat substitute. Pros: Awesome motion stickers to choose from. Cons: No other option to save aside from your phone’s photo gallery. We all know Instagram as a photo-sharing application, but it could be a good alternative for Snapchat as well. It is currently available on both Android and iOS. This app has built-in camera filters that the users can choose from, and it also has the “Story” and “Live” function which is also available on Snapchat. Most of all, this app now has the disappearing text, photos and videos, a feature that is distinct with Snapchat. Pros: It provides good quality image and allows users to upload numerous images and videos on its data base. Cons: Limited filters and does not have face templates. Another mobile app that is similar to Snapchat is Clipchat. Many critiques refer to this tool as a Snapchat clone, since it almost has the identical functions just like the self-destructing images and videos. But unlike Snapchat, this app has a much nicer user interface and it has faster speed in sending and receiving messages. Plus, users can easily search for friend via username, email and Facebook. If you are particular with the interface, then this app is the one for you. Pros: It has better interface and taking screenshot is prohibited. Cons: Adding drawings is not supported unlike Snapchat. If you are looking for apps like Snapchat that can provide you with an animated filter as you do your selfie or video selfie, then check MSQRD. This mobile program can change anyone’s face into an astronaut, an animal or anything that they chose from the filters. However, the app has a watermark which annoys some users and it has less face filters than other apps. Pros: Provides a good quality animated selfie. Cons: Functions are limited into taking pictures and videos. If you need the same disappearing images and videos along with your own daily stories, then you can try this new feature from Facebook’s Messenger called Messenger Day. What this app does is basically similar to that of Snapchat where you can take pictures or short videos via a built-in camera. With this you can also add text, cartoon overlays, animation stickers drag it into “Your Day”. Like Snapchat’s “Story”, your friends can access to your day’s post and it will disappear by itself in 24 hours. Pros: No need to additional installation required as long as you have FB Messenger installed. Cons: It is not a standalone program. This next application that we have is like the easy-to-use version of Snapchat and even kids can use it. It has been said to be used by millions of users around school and campuses. Like Snapchat, this alternative provides photo and video messaging which can be enhanced by adding motion stickers, doodles and GIFs. To take pictures or videos, simply tap anywhere from the screen and you’re done. It is a decent app to use and it’s also great for younger users. Pros: Easy to use and has many motion stickers to choose from. Cons: It’s not a mainstream app just like Snapchat. In case you have enough of Snapchat and want to try a new mobile application that can help you share pictures, then consider using this application. Unlike Snapchat that allows you to send picture messages and will self-destruct in seconds, Slingshot works in very different way. This app is more of a polling application through the use of images for the sake of comparing. Plus, it provides a daily questions or trivia that the users can answer with their friends. Pros: Provides everyday trivia which is cool. Cons: Only support sending images. If you want an alternative to Snapchat that can provide you with a better selfie shot, try this one. This app is equipped with various enhancing effects that can make your selfie image or videos look astonishing. Aside from camera filters, this app provides you with two options in enhancing your image. Whether you want to beautify or edit the image by adding effects, text bubbles, stickers and many more. Pros: It supports face detection technology and has a powerful makeover tools. Cons: It needs in-app purchase to get rid of ads. The last app on our list is Yovo. This resembles some of the Snapchat functions making it a good choice as an alternative. Upon using this tool, you will have a chance to take live images, share pictures from your library and create your own story which will disappear in 48 hours. Along with this, you can also enhance your stories by adding drawings, doodles and comments. Pros: Easy to use and provide good quality images. Cons: May experience some error on some devices. 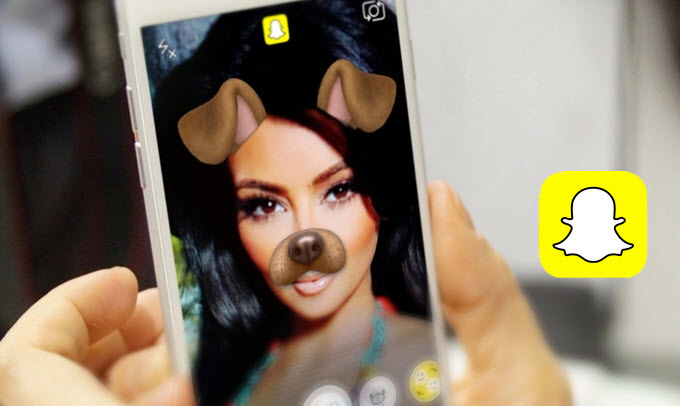 Those are the top Snapchat alternatives that you can choose from. All of them offer functions that are similar to what Snapchat does. The pros and cons are also provided to help you decides which app suits you the most. So what are you waiting for? Start taking images and check these apps now. Rating: 4.3 / 5 (based on 48 ratings) Thanks for your rating!